Instagram Captions: What To Write, and How To Write it? Bu-bu-but isn’t Instagram simply a visual platform? Behold. 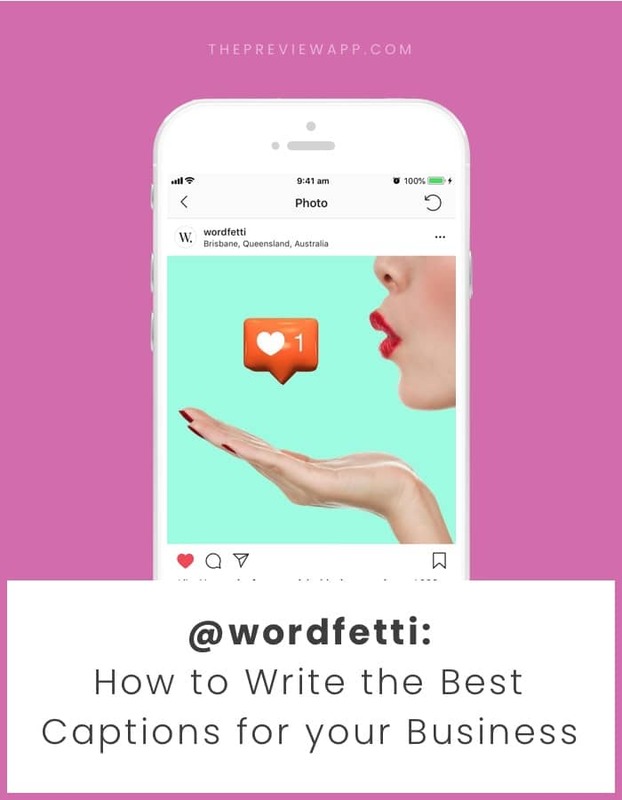 We have teamed up with our friends at Wordfetti to show you how Instagram is not “just” a visual platform. Say hello to Anita, professional copywriter and Director of Wordfetti. Words have the power to give your audience the complete landscape to what they’re seeing, by fully enriching their experience through words. It has the ability to OMPF your engagement with your audience, as well as build connection with them. Without the right words, your image is simply an attention grab. So what does one write, and how does one come up with the words to write? Let’s get into it. Let’s play a little game. What resonates more? A list of ingredients for an ice cream paired with a picture of the ice cream? Or a story of how a father took his little girl to an ice cream van to get her favourite ice cream? If you picked the latter – we agree! So next time you are lost for words … build a narrative around the image. For example, if you are in the wedding cake industry instead of talking about the flavour of cake, and how beautiful your cakes are – go deeper and talk about: why the particular flavour was chosen. Was it because it was a flavour that held a special meaning with the couple? What happened during the consultation with the couple who wanted the cake? As humans, we crave connection: it’s how we are all inherently wired. Therefore, if appropriate, and you feel comfortable to, write something personal about you, and make it honest! E.g. A win, a thought, a struggle or your feelings about a certain subject matter. This tip particularly rings true if you are a service or product-based business on Instagram. Look. While Auntie Camilla (seriously, bless her) might tell you consistently that “Wow! Amazing! Such a good offer!” … your target audience is already 10 pictures deep into their scroll. Past yours. Instagram is a platform where your audience go to find inspiration and advice. Build that trust by adding insight, value, resources, knowledge or information that is different, and not simply stats, tips and news regurgitated from the internet or your competitors. Tip #4: Sometimes, less is more. Here’s the thing: if you have a very strong visual, this is where you don’t have or want to overdo it with the text! Sometimes this might be a few emojis, or even a word to make the magic happen. The perfect example of less is more? What do they do as a job? What do they do when they’re not at this job? Are they married? Single? Kids? What are they internally and externally motivated by? Freedom? Community? Wealth? Health? Remember, you are writing to humans. Get clear on who your target audience is and write backwards. That way, you will be one step closer to writing copy that wins both hearts and minds! Your brand’s voice relates to the words you choose, the elements of speech you add or leave out, and your brand’s unique personality – through words. Or a mixture of it all? Because your tone plays a pivotal role in how your audience perceives you, especially on social media. It brings humanisation to your image and brand. It forms a large portion of your brand’s identity and a consistent tone that is recognisable WILL help differentiate you from others, whether you are a an individual or business. Great and consistent copywriting on Instagram has the power to convert your followers into a loyal tribe who will not only follow you for your great imagery, but your story. And that’s special. This element is attributed to a study called the Propinquity Effect – that pretty much says: the more we meet (or e-meet) and interact with people, the more likely we are to become friends/loyal followers, and for business brands on Instagram, as a brand that we would want to work with. Still unsure where to start? Need caption ideas on-the-go? You’ll love this! 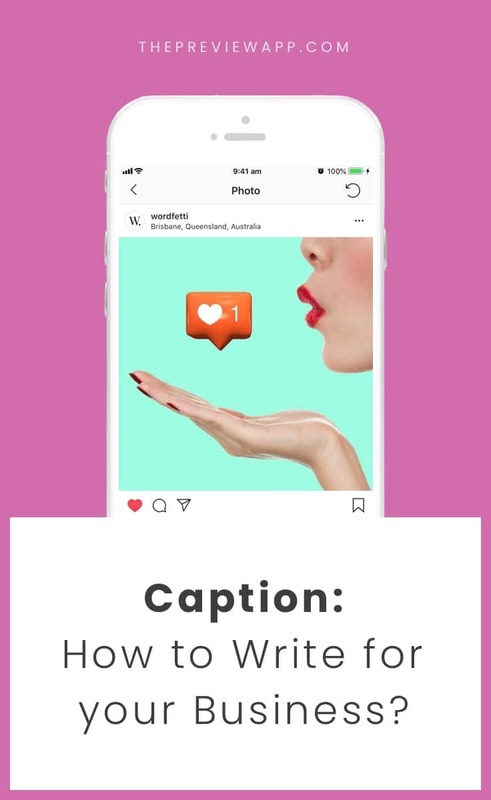 Wordfetti crafted a 55 Instagram Caption starters tool to help you write your social media captions strategically. From engagement drivers, to value-add’s, to behind the scenes, to even captions for those days when nothing too exciting happened, but you just want to pop up and say hello to your followers. They’ve got you covered.